Apple is a unique company with its own out-of-the-box ways to create new technology. They do it even if that means annoying their loyal customer base. Remember when Apple got rid of the regular headphone socket from iPhone 7? However, there are many software that does not support Apple operating system. You still need Windows to run them on your computer. Applications like Microsoft Access, some video and graphic tools and many stunning games are still based on Windows (Poor, forsaken Mac Gamers!). Fortunately, there are ways to run Windows programs on your Mac computer. Apple has an inbuilt utility program called Boot Camp that helps you install Windows on your Macintosh computers. The only problem with Boot Camp is that while using Boot Camp, you can’t access the Mac side. For example, you cannot access photos or mails in Apple Mail while using Windows on Boot Camp. You are required to shutdown Windows to use macOS. Hence switching between the two operating systems back and forth can be a cumbersome task. 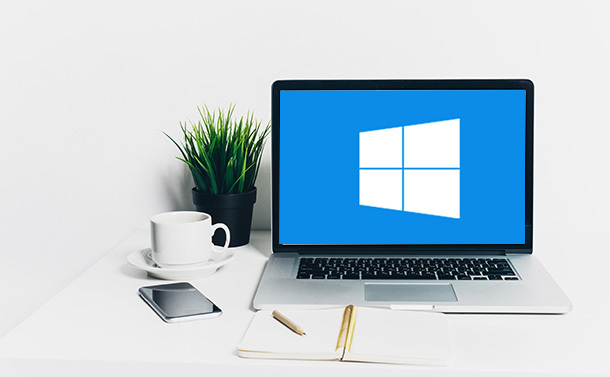 Well there are few best alternatives to Boot Camp that can help you install and use Windows on macOS without the hassle of switching back and forth. We’ve a prepared a list of the best free alternatives to Boot Camp. The tools are powerful and most of them use virtualization to perform create Windows-like environments. Read On! VirtualBox is a great alternative to Boot Camp that can be used for personal use as well as for enterprises. It is a high performance, feature-rich product that is free. You can download the free version by clicking here. VirtualBox runs on Macintosh, Linux, Windows and Solaris. The software can support all Windows versions, Linux distributions, OpenSolaris, Solaris, OpenBSD and OS/2. The free home edition does not include technical support. However, the free software is supported by the VirtualBox’s official forum. You can avail the enterprise edition that costs $50 per user to take advantage of the advanced features. For Enterprise edition, you may be required to buy at least 100 licenses at a time. The open source software is powered by Oracle (as it owns the base code). Overall, VirtualBox is a powerful alternative to Boot Camp to run Windows on your mac OS. Wine is an open source, unique software that encourages use of Windows applications on your Mac. We call it unique because it doesn’t utilize virtualization to support use of Windows programs. Instead, Wine helps Windows apps to directly communicate with the mac OS by translating their APIs into a form that can be understood by mac OS. hence, you don’t need a complete Windows OS to use your favorite apps on Mac. moreover, the app saves computer memory and processor power. Wine provides better performance when it is compared to virtual machines. The software may be ambiguous to novices but it’s a boon to many hobbyists. The product is free. Click here to download the tool. VMWare Fusion is one of the best alternative to Boot Camp and can be called as arguably the best virtual machine in the market. It’s has been competing with Parallel Desktop since ages and both have been trying to bring out the best in them. VMWare Fusion 10 is the latest release from VMWare, who was not focusing on its home edition virtual machines earlier. VMWare Fusion 10 helps to create a virtual environment by simulating the hardware environment of a Windows computer. VMWare Fusion 10 runs like any other software on mac OS. It installs a Windows OS copy on your Mac. therefore, you are able to use both Windows and Mac apps simultaneously through VMWare Fusion 10. VMWare Fusion 10 supports added Mac features like MacBook Pro’s Touch Bar and includes features like cleaner user interface, easy-to-navigate controls and many more. There are two distinct versions of the software: $79.99 (Fusion) and $159.99 (Fusion Pro). Click here to download the free trial version. BootChamp is a utility software that helps users to quickly load Windows into the mac OS. How is it different? Unlike Startup Disk utility in System Preferences, it doesn’t change the startup disk. BootChamp only requires a click and an administrator password to restart the computer to Windows. In addition, the software doesn’t ask for the password again. Click here to download BootChamp. With the support of regular updates, Parallel Desktop 13 is shining as the star in the field of virtualization software. Parallel Desktop 13 helps you to create the VM environment like other tools like VMWare and VirtualBox. It provides you the choice to use the entire computer screen or a window for operating Windows. You can also hide the desktop of Windows to create an illusion that Windows apps are working in the same way as the Mac apps. Additionally, you can shrink the Windows screen to a corner. Hence you can track the Windows side while working on the mac side. The two different versions of Parallel Desktop 13 comes under the same price tag for now (limited period offer) i.e. $49. Generally, the pro versions costs $99.99 per year. Click here to download Parallel Desktop 13. These are the 5 best Boot Camp alternatives that can be used by you without any doubts. These products are tried and tested by us and offer quality features in one or another way. Hope you like the list and share your experience with us in the comments below. Also, let us know if we have missed any good product.